Jessica Baldwin unravels the history and culture of the Welsh capital as she tells us about six top attractions in Cardiff that culture vultures won’t want to miss. Cardiff may be Europe’s youngest capital city but that doesn’t stop it being a serious contender for a great cultural weekend away. Stroll around the fantastical home of the richest man in the world, grab a cuppa in the tiny church where Roald Dahl was christened and admire works of Monet, Renoir and Van Gogh… all before hitting the beach. 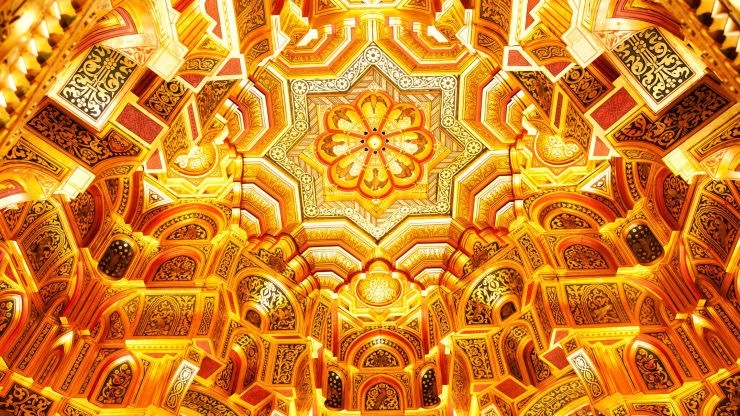 Read on as Jessica Baldwin reveals some top places to visit in Cardiff during an epic weekend. Crowning the city centre, surrounded by acres of beautiful parkland, is picturesque Cardiff Castle. This iconic building is the gateway to over 2000 years of the city’s history and is a unique historic jigsaw; together as one, it is a Roman fort, an impressive Norman castle and an elaborate Victorian Gothic palace. Take a tour of the castle apartments which were created for the 3rd Marquess of Bute who filled the lavish rooms with vibrant frescoes, colourful stained glass windows and intricate wood carvings. Money must have grown on trees around the castle – after all he was the richest man in the world. During World War II the castle’s hidden tunnels became air raid shelters, protecting almost 2000 citizens from German bombs. Today, the castle is open to the public and holds events throughout the year, from medieval-style banquets and jousting to lectures and open air theatre performances. And if you’re desperate to get a snap for your Insta portfolio, climb to the top of the Norman keep for a bird’s-eye view of the city. 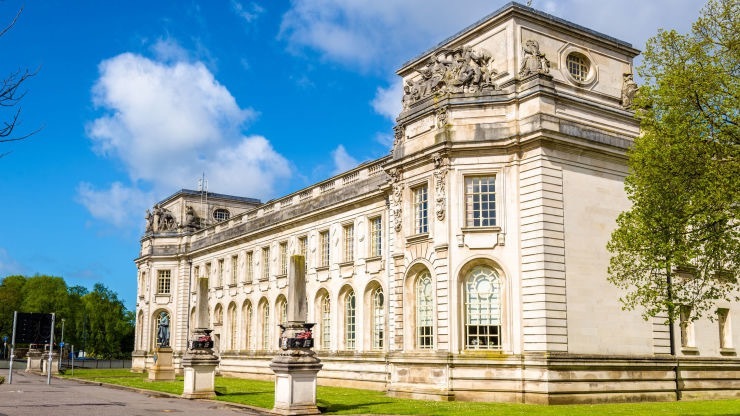 Residing at the heart of the city’s elegant Civic Centre, the National Museum Cardiff is home to the country’s art, history, archaeology and geology collections. It’s free to visit and the art galleries within boast one of Europe’s best Impressionism collections – you’ll find work by Monet, Renoir and Van Gogh. Also, don’t miss the world’s largest leatherback turtle and the mammoth humpback whale skeleton which are hidden away in the Natural History Galleries’ new marine area. Cardiff has a lot to thank its historic docklands for. At one point they were the biggest handlers of coal in the world. Today, they have a new name and lease of life; Cardiff Bay is Europe’s largest waterfront development, crammed with bars, restaurants and attractions. Start your stroll at the Norwegian Church. It was originally built for Norwegian sailors who visited during the coal boom and later christened local author and illustrator Roald Dahl. The white timbers are home to a small gallery and café overlooking the bay. If you fancy something stronger, saunter over to Mermaid Quay, packed with restaurants and bars, to enjoy a sunny beer or two and grab a spot of lunch. For a change of scenery, head to the Cardiff Bay Barrage; the open pathway leads you away from Cardiff Bay to the seaside town of Penarth. 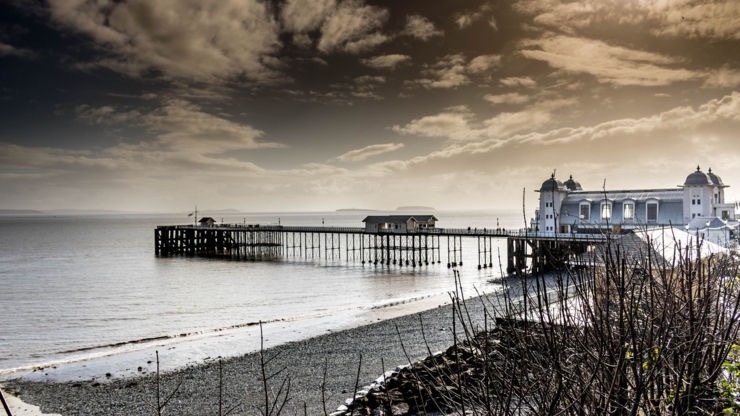 Fondly referred to as ‘the garden by the sea’ in its Victorian heyday, today Penarth boasts quaint independent shops, a picturesque esplanade fringed by Italian gardens and an award-winning pier – perfect for a holiday selfie. On summer Sundays a local brass band plays on the pier and local boats call to take tourists on cruises. The walk over is about 30 minutes and takes in the town’s modern marina en route. If you are feeling lazy, catch the local water taxi back to the docklands. 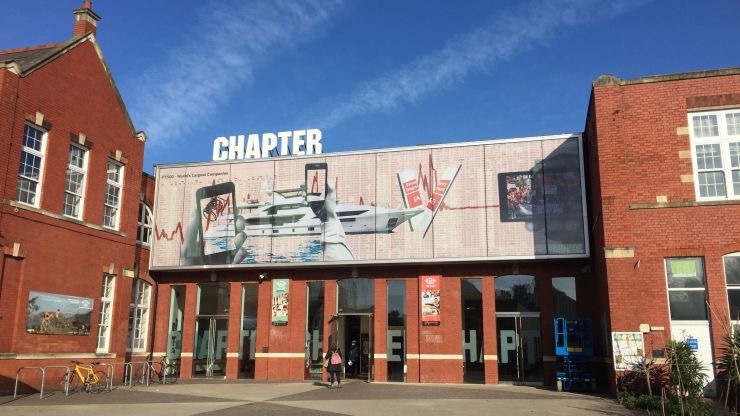 For four decades, Chapter Arts Centre has been at the centre of Cardiff’s creative community. Founded by local artists, it celebrates art in all forms; from start outs to the industry’s big names. It’s the city’s go-to for art house films, thought-provoking performances and varied exhibitions. It also has an award-winning bar (voted one of the UK’s best drinking spots by the Observer Food Monthly for four years running) where you’ll find the capital’s creative bods mingling over coffees and Belgian beers. If the pace of the city becomes too much, head to Dyffryn House and Gardens. Despite being under 20 minutes from the centre of Cardiff, you’ll feel as if you are in the depths of the Welsh valleys as you stroll around this Grade II listed Edwardian mansion and its 55 acres of ornate botanical gardens. The estate dates back to the 7th century and has a complex and colourful past. Some of the 52 rooms are open to the public thanks to a refurbishment, courtesy of the National Trust. Explore the beautiful fresco ceilings, elaborate fireplaces and intricate carvings, as well as the magnificent gardens which include croquet and archery lawns, a lavender court and an arboretum.